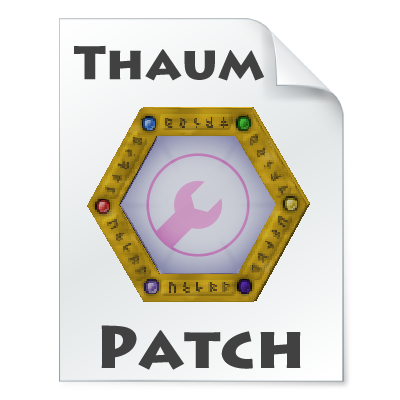 ThaumPatch will fix two bugs in 1.7.10 Thaumcraft. Fix bug that potion ID is not synchronized between server and client. Fix a crash bug when you do an unstable altar craft like Ex Astris Mod's Portal-in-a-box. install a patch on the server. Copy Thaumcraft.cfg generated in the config folder of the server to the client.